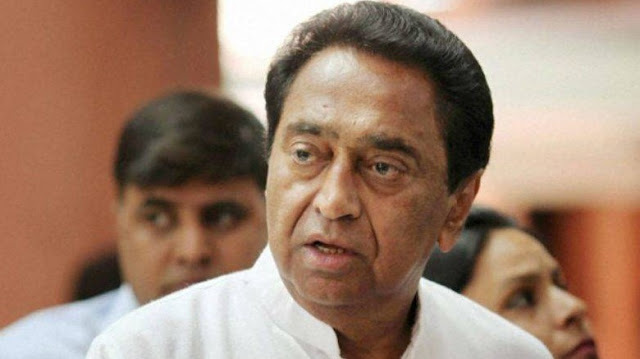 Kamal Nath Name Is Almost Final, Congress To Declares Name In Formal Party Meeting: 13/12/18 Today News Chief Minister of Madhya Pradesh will be Kamal Nath. His name is considered to be almost fixed. Its formal announcement will be after the meeting of the Congress Legislature Party. Here, Kamal Nath and MP Jyotiraditya Scindia meet Congress President Rahul Gandhi in Delhi. It is being told that Rahul Gandhi has put a final stamp in the name of Kamal Nath. Kamal Nath has won for 9 times from Chhindwara, along with that he held all the work during the elections in MP. It is being told that most MLA have named Kamal Nath for CM. Earlier on Wednesday, the resolution of one line was passed in the presence of supervisors of the Central Working Committee in the Congress Legislative Party meeting. In this, Rahul Gandhi was authorized for the leader's selection. However, Kamal Nath is the name in the race for the CM race. At the same time, Jyotiraditya Scindia has also remained in this race till now. Many MLAs meet Scindia: A series of meetings with Nath and Scindia supporters throughout the day for the name of the leader of the Congress Legislative Party. Nearly four dozen MLAs came to meet him at the hotel in which Scindia had stayed. Many supporters of the Sindiya supporters have also become vocal for their leader. Here, in the meetings of veteran leaders and MLAs with observers at night, it was decided that the leader of the legislature party will be announced on Thursday evening at four o'clock. Scindia also meet with 70 MLA in a private hotel. Later, along with the MLA of Gwalior-Chambal, Scindia also took lunch with MLA. More than half of legislators from this constituency are being seen as Scindia as the first choice of Chief Minister post.